EMS | What have I done today? EMS – What have I done today? 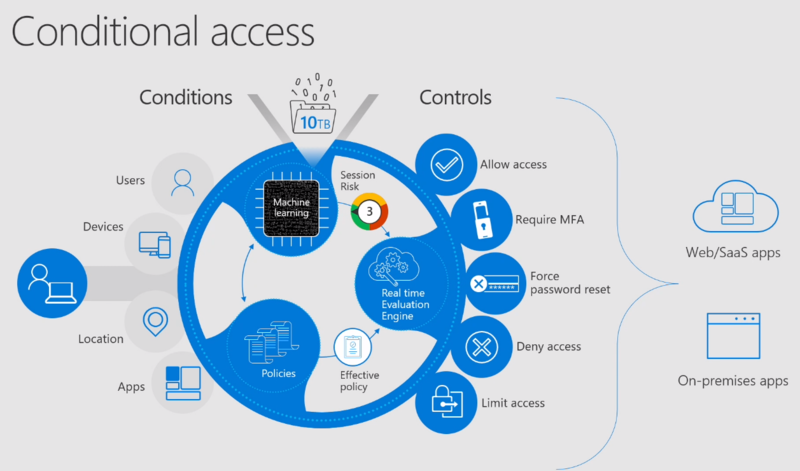 Microsoft Ignite – Configuration Manager What’s Next? Learn about the latest developments in System Center Configuration Manager (ConfigMgr), watch demos, and understand what is coming next. Windows has evolved. Simplify Windows 10 management and lower the Total Cost of Ownership (TCO) with the Microsoft Cloud. See how Enterprise Mobility + Security (EMS) and Windows 10 can be used together to ease procurement, simplify provisioning and lower TCO through modern management & security, and deliver cloud-based updates without the need for an on-premises infrastructure. This webinar illustrates how Microsoft Enterprise Mobility + Security (EMS) provides an identity-driven unified endpoint management solution that can help you manage and secure user identities, devices, apps, and data across all of your iOS, macOS, Android, and Windows devices. Windows 10 has been around for over 2 years, you’ve successfully completed a number of Windows 10 projects, but have your customers successfully adopted Windows as a Service? Windows as a Service with the increased cadence of change and new support lifecycle makes it significantly different to adopt and support. How has your project approach transformed to address these changes? Come and find out how our approach to Windows 10 projects need to change to help our customers adopt Windows as a Service long after our project is completed. Overview: What is Windows as a Service, why is it important and what are the inherent benefits of the new servicing model. Technical update: Refresher on the technical side of Windows as a Service and cover the recent changes to the servicing model. Adoption of a service: What needs to change within our customers organisation to support a “service” and what do we have to do to help them successfully adopt Windows as a Service. Transforming our project approach: Look at how our project approach needs to be transformed to address the changes introduced by Windows as a Service. To participate in a live online question-and-answer event hosted by the Windows 10 engineering and product teams there will be an “Ask Microsoft Anything” on July 25, 2017 where Windows AutoPilot Deployment will be a covered topic. The four-day EMS + S Technical Workshop for Spark will provide members of the Spark technical support and delivery team the skills required to understand and successfully configure and support Spark’s EMS customer solution. In this Workshop, students will learn the tools used in EMS to help define and manage individual customer requirements within Sparks shared customer environment. This Workshop contains Level 300 content. Each module is designed to provide participants with in-depth expertise, tools and experience in configuring and managing various EMS scenarios. As an exclusive Spark event students, will be able to deep dive on the Spark solution to define specific customer requirements. A series of User Scenarios will provide participants with the practical application of the features and functions they learn about. Error occurred while retrieving JWT token, check that current user has an Intune license and try again. You need to assign a Intune A Direct license through the Office365 Admin Center. Ensure you have appropriate Administrative permission in Office 365. So you have just joined your Windows 10 device to Azure AD with Azure AD Join and the device has auto enrolled into Microsoft Intune (MDM). We done. Now you want to install the Intune Client to get all those Intune console features you seen and heard about. Enroll it as “mobile device” using the MDM agent built into Windows 10. Use Policy configuration service provider (OMA-DM) Future technology. Install the Intune client agent. All the cool configuration policies you see in the Intune console. These are mutually exclusive though. Each has its pros and cons. The long term goal is for the built-in MDM agent to be the end-all be-all for managing Windows 10 and it does a good job today but it doesn’t cover everything like Defender management or software updates. The full Intune agent is generally preferred today because it does provide these things but it depends upon your scenario.